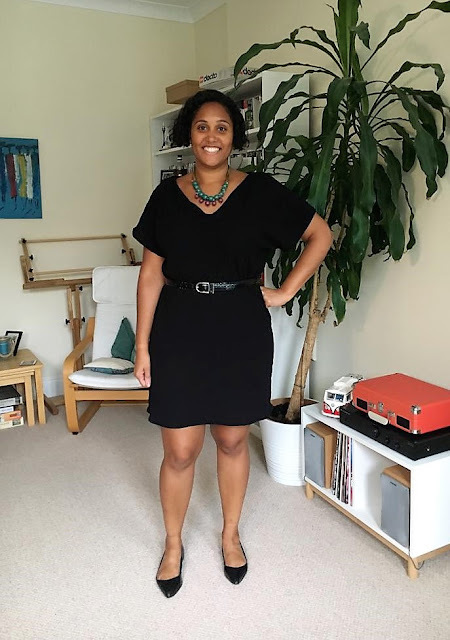 I am getting on well with my Summer Sewing plans! 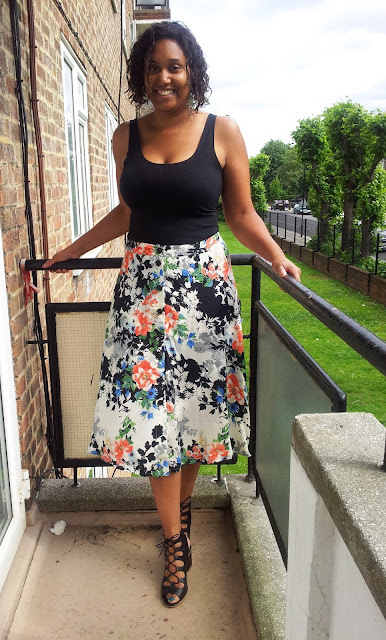 A couple of weeks ago I sewed up this simple midi length skirt pattern - New Look 6346. Initially this skirt pattern passed me by. Looking at the pattern envelope I found the skirt was too wide. 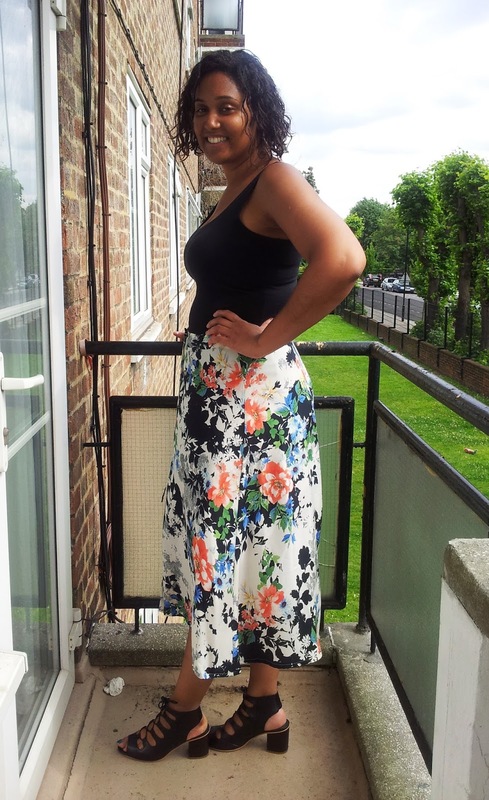 However when I saw Mimi G's version of the midi skirt I knew that I wanted to try it. I cut a generous size 16 and sewed this straight out of the envelope. I was worried that the skirt would be too wide but actually I think it is perfect as it is. One thing that I would say is that fabric choice is critical. This would not have worked for me if I had picked a stiffer fabric. I french seamed this as I didn't line it and didn't want the fabric to fray. I didn't have enough fabric to pattern match this, but looking at the photos I don't think that this matters too much. The fabric is viscose poly cotton blend. 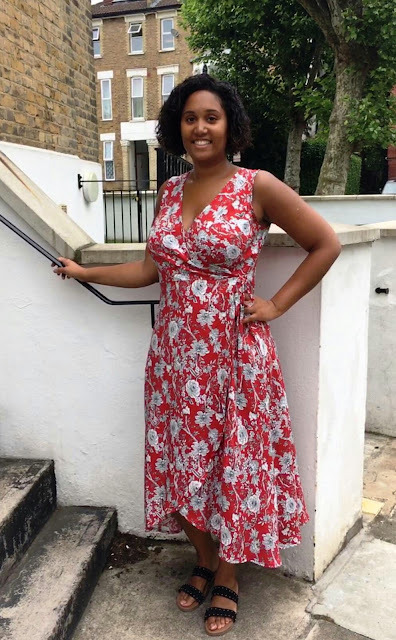 I can't remember where I purchased this from but I do know that it was from a London Market - either Walthamstow or Goldhawk Road and didn't cost me more than £5 per metre. It has been in my stash for years! I don't have too much to say about this skirt except that I love it! I have been spotting these across London all the time at the moment but I wasn't sure if it it would be too hipster for my style. I am just hoping that I will get a couple more days of summer to be able to wear this! 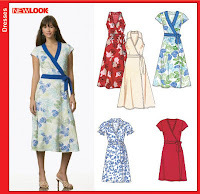 I have a couple more stash busting projects on the sewing table designed for a summer wardrobe. Stay Tuned and Happy Sewing! This is gorgeous. The right fabric for the style. So pretty. 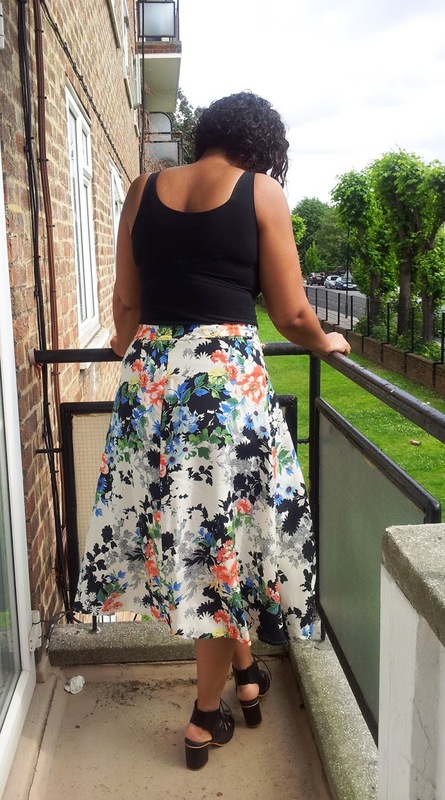 Perfect summer skirt and a great length. I need some midis in my wardrobe. Very cool. I prefer your version to Mimi G's, I feel your fabric choice is better suited to the shape and style. I agree, you don't need to pattern match this fabric, it works absolutely fine. Let's just hope for some summer now! Beautiful skirt. I love it on you. What a fun print too!